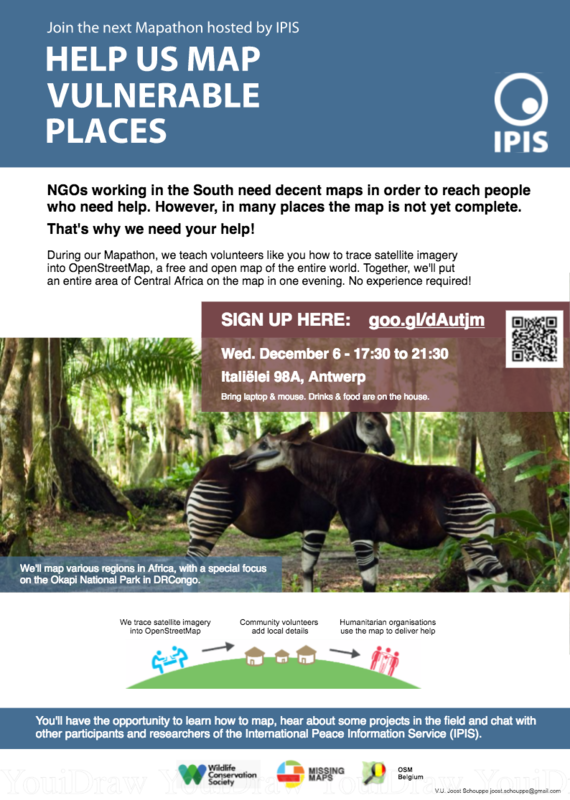 IPIS, Missing Maps and OpenStreetMap Belgium organise another Missing Maps Mapathon on Wednesday December 6, in the IPIS library. Why do we organise this? NGOs working in the South need decent maps in order to reach people who need help. However, in many places the map is not yet complete. That’s why we need your help! We teach volunteers how to trace satellite imagery into OpenStreetMap, a free and open map of the entire world. These maps are then used on the field by NGOs, and help them better plan their efforts and reach people and places who need help. 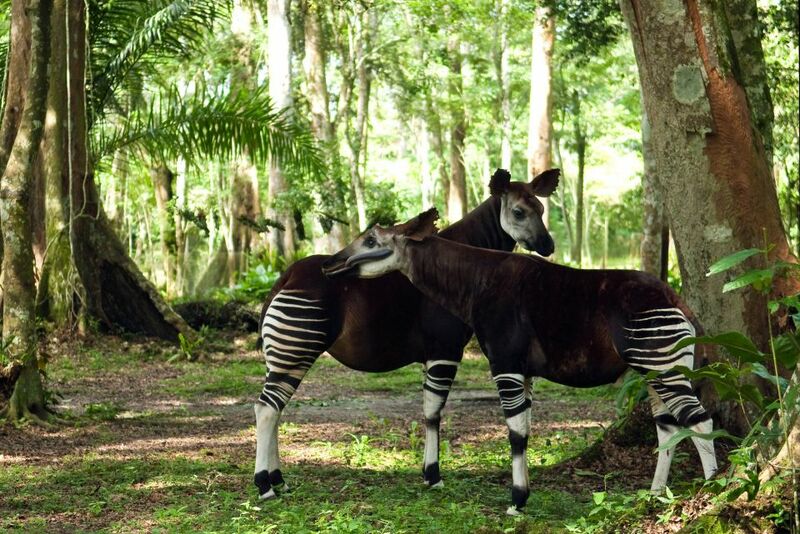 Together, we’ll put an entire area of Central Africa on the map in one evening. No experience required! During this specific Mapathon, we’ll continue to map various regions within the Okapi National Park in DRCongo. 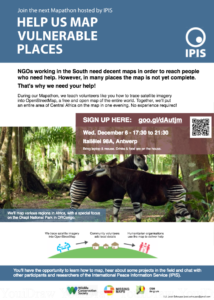 You’ll have the opportunity to learn how to map, hear about some projects in the field and chat with other participants and researchers of the International Peace Information Service (IPIS). What to bring: Bring laptop & mouse. Drinks & snacks are on the house. You can find more information about Missing Maps on the Missing Maps website, or check out OpenStreetMaps on twitter.